Smith & Sons Rockhampton are your local renovation and extension specialists for Rockhampton and the surrounding areas! The team at Smith & Sons Rockhampton have extensive experience in all types of renovations and extensions- from the old Queenslander to the modern family home. Whether you’re looking to add a storey, create a deck, upgrade your kitchen, renovate your bathroom or extend your living space- the team at Smith & Sons Rockhampton can help! Shane and his team help clients create a home that suits their lifestyle and future requirements- no project is too big for the Rockhampton team! 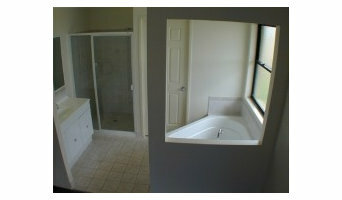 Custom home builders specializing in single level brick hassle-free homes built on time and on budget with no surprises. Affordable Quality Homes – An Australian Business that is proudly Central Queensland born and bred. Since 1991, Scott and Meleese Kilpatrick trading as Affordable Quality Homes, have been helping Central Queenslanders realise their dreams. 2000 homes in the area stand strong and provide security and a quality lifestyle thanks to the team at AQH. Affordable Quality Homes will do everything they can to use their size, experience, stability and resources to provide the best price and quality on an ‘apples for apples’ basis. Affordable Quality Homes has it’s own designs. In all, we can offer you hundreds of plans to choose from, or we can build to your own unique design that you need to suit your individual lifestyle needs. Employing well over 30 specialist trades personnel and a number of administration and sales staff, Affordable Quality Homes currently builds homes along the Capricorn Coast, in and around Rockhampton, Mt Morgan, Gracemere and districts. Whether you’re undergoing home renovations or building from scratch, hiring the right home builder is essential. Your choice will determine the quality of craftsmanship, as well as how high your stress levels rise! A home design or building project is a huge and multifaceted undertaking, so it’s important to find a local Rockhampton, Queensland builder you can trust to bring your vision to life and keep the process under control. The Houzz professional directory of home builders is a great starting point to choose the right builder for your needs. What exactly do Rockhampton, Queensland home builders do? 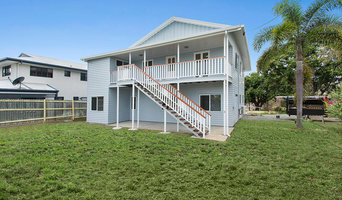 Before any nails are hammered down, construction companies perform market research to determine whether the prospective site for a new home in Rockhampton, Queensland makes sense. They also survey the land to make sure it is suitable for construction, and obtain any necessary Queensland permits. Scroll through this page to find contractors in Rockhampton, Queensland. Then, click on a professional to browse photos of their latest projects and see how their work compares to the scope of your project. Read reviews to see how other homeowners rate their work, and message the home builder or construction company directly to ask any specific questions.